You can register via the Graduate Portal now! This is your chance to be part of delivering a digital future for Queensland! Applications for the 2020 IT Graduate Program will re-open on 1 July 2019 and close on the 26 July 2019. The Queensland Government is a proud employer of a diverse range of people, and we would like to encourage people with a disability or impairment to apply to the program. 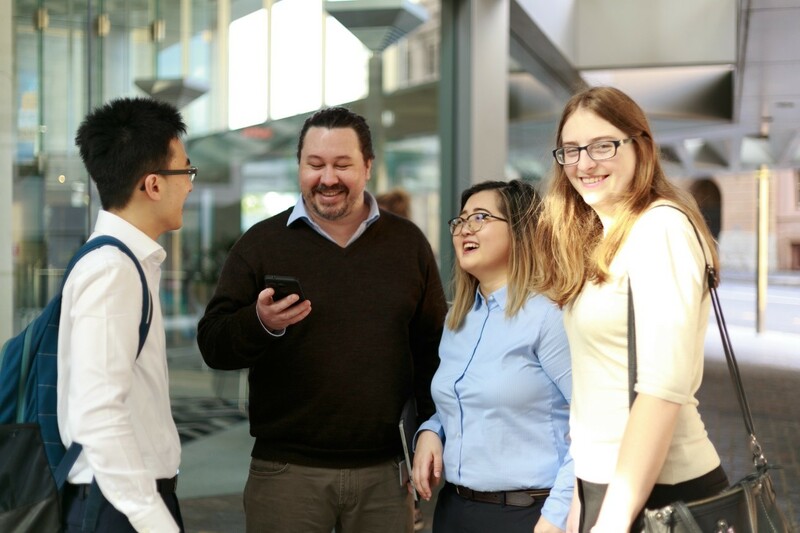 Increasing the representation and inclusion of people with a disability or impairment in our workforce is a priority for us, and the IT Graduate Program is well placed to provide a supportive work environment, with opportunities for skills development and an exciting career pathway. Candidates with an impairment, can contact the IT Graduate Program Team at any stage of the recruitment process for support and guidance in your application. Our program has a thorough recruitment process designed to be as fair as possible to every candidate. Below are handy hints, tips and frequently asked questions (FAQs) to help you with your application. We appreciate that you may want to apply for more than one Queensland Government graduate program, and by registering on the Graduate Portal, you will be notified when other graduate program applications open. Register your interest on the Queensland Government Graduate Portal and nominate Department of Science, Information Technology and Innovation as department preference for the IT Graduate Program. Applications will close for 2020 intake. There are six stages in the recruitment process described below. This process is your chance to show us that you have what it takes to succeed in the Queensland Government. * Please note: the months listed below are indicative and may vary between departments, depending on the recruitment processes of individual business areas. You must be an Australian or New Zealand citizen or permanent resident to be eligible for any of the Queensland Government Graduate Programs. Register your interest on the Queensland Government Graduate Portal. You can register at any time via the Graduate Portal. Add your contact details, upload your qualifications and resume plus any other documentation required. You will be notified when our program (and other programs seeking your qualifications) applications open, and invite you to apply for the IT Graduate Program. All eligible registered candidates will be asked to participate in cognitive and work based testing. The test results last for one year and will apply to any other requests you receive to do the same test/s for other graduate roles. At this stage, you must nominate two preferences for jobs (graduate roles). In 2019, the top four roles that our departments were looking to fill were cyber security, network support, ICT generalist and business analyst. If you have completed and are successful in the cognitive testing, you will be invited to the next stage of video interview. If successfully shortlisted for an interview, a representative from the department will offer you an interview in person or via skype. Interviews will be held in various locations in Brisbane, but mainly in the CBD. Skype interviews can be made available to those candidates that are outside the Brisbane region. Most interviews run for approximately 30 minutes and you will be asked multiple questions about your interests, abilities and knowledge of our business and strategic direction. Usually three panel members are involved in the interview. Selection is based on your experience, test results, qualifications and performance at interview. An order of merit will be created, and the successful person will be offered the role. If by chance that person cannot take the role the panel will refer to the order of merit and, if applicable, offer the role to the next successful candidate. If you are successful, a representative from the interviewing department will call you to offer you a place on the program. If accepted, a letter of offer will be sent once all relevant paper work is submitted by the successful candidate and approved (this may include a criminal history consent form, ID and referee checks). Once you have accepted an offer you should not attend any other interviews. Applying for your first job can be overwhelming. We have put together some handy tips to help you with our application process. List your full name, postal and email address and contact phone number. It’s a good idea to have a professional voicemail recording and email address (i.e., not hottie89@email.com ). Include a blurb about you and your work interests. For example, where your passion lies and what you really want to achieve at work. List your education, training qualifications and professional certifications, as well as any professional memberships. Outline your knowledge and experience using hardware, software, programming languages, databases etc. This is the first thing employers will look for when filling a technical role. Include your professional work history and any other relevant work experience, whether paid or unpaid. List two contactable referees, including their name, job title and company (if relevant), email address, contact phone number and their relationship to you. Remember to ask their permission first before listing them on your resume. It’s not a good idea to include a photo of yourself, however you may choose to include a link to your LinkedIn profile instead. If you need further advice, view our Helpful links page for more hints on resume writing. You will normally be given a few days to prepare for the interview. Check if you are required to bring any supporting documentation or items of completed work. Interviews for the public service are conducted by a small panel comprising a minimum of two people, however most panels consist of three people. Interviews are based around set questions. Be prepared with several actual examples that show your job knowledge or relevant experiences—this may be based on university projects, paid or volunteer work. You will usually have the opportunity to peruse the questions before your interview (generally 10-15 minutes perusal). This process may depend on the department interviewing. Approach the interview in a confident, considered manner and engage with panel members when you speak. Eye contact is important! Research the organisation to gain an understanding of their core business and clientele (e.g. the business of government is to serve the community). If you have any questions about the job or the organisation, note them down and ask them at the end of the interview. Think about what will you wear to the interview. The Queensland Government is a professional work environment, so dress accordingly. What do I need to study to get into the IT Graduate Program? We are looking for a mix of IT technical people and non-technical people. If you have studied information technology, information management, computer science, telecommunications, project management, web/multimedia design, business/commerce/law, marketing or procurement—we want you! What benefits does this program offer me? If you are successful in gaining a position, you will be working for the Queensland Government, the largest employer in the state. As such, once established you can take your career in so many directions.The program will also give you the opportunity to play an important role in a variety of innovative and challenging projects. You will be provided with excellent opportunities for networking with the graduate group, innovative professional development, mentoring, as well as flexible work conditions and a competitive salary. Later in your program you will be offered career assistance and support is always provided by the IT Graduate Program team on any matter you wish to discuss. Visit our What's in it for graduates? page for further information. Do you have age limits for graduates? No, we accept all people of all ages. All graduates will be selected on their capabilities (including test results), work experience and values. I’m graduating from a postgraduate course. Can I apply for the program? Yes. The program is open to all graduates that hold a degree, graduate diploma, masters or PhD qualification. Graduates must have completed their course at an Australian university in the last two years. Undergraduate students are not eligible to participate in the program. Is previous work experience or an internship in an IT role required? No, work experience or vacation employment is not a mandatory requirement, although we are interested in finding out about your experience as well as what you would like to achieve and what your interests are. * cognitive ability, values and work preferences. The amount paid will depend on which department you are placed with, and the enterprise bargaining agreement that has been negotiated for your department. Starting from $60,605 per year plus up to 12.75 per cent superannuation. Can I apply if I’m not an Australian citizen? The Queensland Public Service Act 2008 provides the legislative basis for eligibility to work in the Queensland Government. We are only able to offer graduate positions to Australian or New Zealand citizens or permanent residents. This means that you need to have your residency status confirmed at the time of application. Do I need to have a medical to gain entry to the program? No, a medical is not a requirement for this program. What sort of employment conditions do graduates have? The Queensland Government promotes work/life balance and flexible working arrangements. Generally, you would be required to work between 36.25 and 38 hours a week. The core hours vary between departments because staff can be employed under different certified agreements. Remuneration is commensurate with the hours you work. Most departments offer flexi time and other leave entitlements including 10 days sick leave and 20 days recreation leave each year, paid public holidays and long service leave accumulation. What happens to my IT career with the Queensland Government after the program? 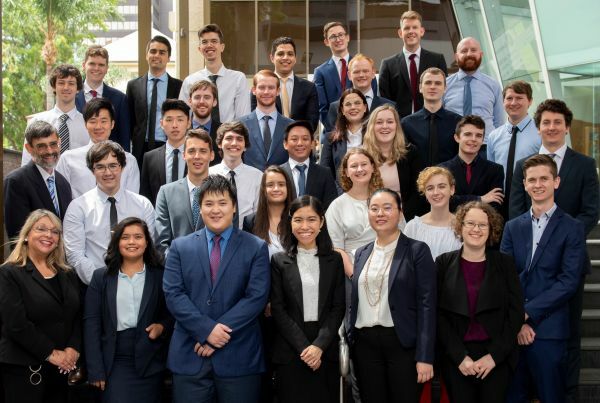 At the end of the program, graduates will have learned a great deal about working for the Queensland Government and will have developed new skills. This means you will be well placed to seek and obtain an ongoing position. Throughout the program, we will help you develop your confidence and skills and obtain further employment opportunities. Will I work in the same role for the duration of the program? During the two-year program graduates may experience a rotation placement within their home department. Rotations are not mandatory and are up to you and your host department to arrange. Some graduates are very interested in rotating and others like to remain in their position for the duration of the program. The program is focused on promoting skills development, giving you exposure to a wide variety of roles, environments and experiences. How will my performance be appraised while I am on the program? Receiving feedback on your performance is extremely important to your ongoing professional development. The Queensland Government department you are placed with will manage your performance in line with their professional performance and review processes. This means you will work with your manager to write performance targets that are consistent with your own personal goals for growth and development and the organisation's business direction. No, we do not offer internships. How long do I have to wait to hear if I have been successful in getting an interview? Unfortunately, the time between applying for the program and being asked to interview can be lengthy process and can range from two to six months. Regular updates on recruitment progress will be provided on our website at What's on News. How long do I have to wait to hear if I got the job after the interview? You should be be informed within four weeks post interview, however, this time frame can vary as each department is responsible for their own recruitment and HR procedures. If you have any queries, please contact the Chair of the interview panel directly. In February each year, however if interviewed early, graduates can be offered an earlier start date.